Asiad Steels is one of the renowned suppliers and manufacturer of Hastelloy C22 Fasteners. These HASTELLOY C-22 alloy (UNS N06022) is one of the well-known and well-proven nickel chromium-molybdenum materials, the chief attributes of which are resistance to both oxidizing and non-oxidizing chemicals, and protection from pitting, crevice attack, and stress corrosion cracking. The high chromium content provides good resistance to oxidizing media while the molybdenum and tungsten content give good resistance to reducing media. 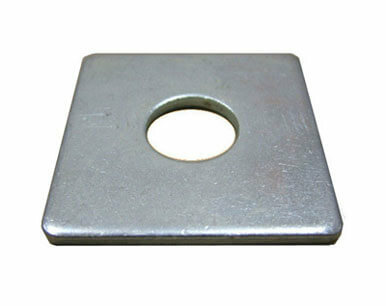 We also offer the same in different types such as Hastelloy C22 Nuts, Hastelloy C22 Bolts, Hastelloy C22 Washers, and Hastelloy C22 Stud Bolt. Meanwhile, Hastelloy bolts & nuts can be most effective under high temperatures and corrosive environments, with high stress resistance. It has outstanding resistance to hydrochloric acid at all concentrations and temperatures. Hastelloy C-22 has exceptional resistance to a wide variety of chemical process environments, including strong oxidizers such as ferric and cupric chlorides, hot contaminated media (organic and inorganic), chlorine, formic and acetic acids, acetic anhydride, and seawater and brine solutions. C-22 is a Nickel-Chromium-Molybdenum-Tungsten alloy with better overall corrosion resistance than any other Ni-Cr-Mo alloy, like Hastelloy C-276, C-4, and alloy 625. Alloy C-22 (UNS N06022) is very similar to Alloy C-276 (UNS N10276) and is also a good heat resistant and corrosion resistant alloy. It’s a Nickel-Chromium-Molybdenum alloy with better overall resistance and versatility than any other NiCrMo available. Its applicable are in bellows, flue gas scrubber components, nuclear fuel reprocessing and sour gas production. 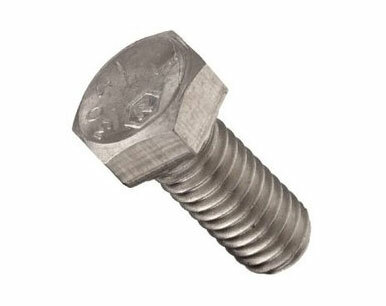 Buy Alloy C22 Fasteners at reasonable rates from us. We are Exporter of Hastelloy Alloy C22 Fasteners in Worldwide Such as India, Oman, Romania, Venezuela, Estonia, Israel, Angola, Pakistan, Brazil, Morocco, Namibia, Algeria, Colombia, Iran, China, Finland, India, Indonesia, Greece, Ukraine, United Arab Emirates, Zimbabwe, Chile, Azerbaijan, Yemen, Mexico, Nigeria, Gambia, Mongolia, Ireland, Japan, Norway, Switzerland, Nigeria, Hong Kong, Peru, Czech Republic, Iran, Belarus, Malaysia, United States, Tibet, Libya, Netherlands, Sweden, Serbia, Lebanon, Macau, Philippines, Croatia, Bulgaria, Gabon, Taiwan, Germany, South Africa, Turkey, Russia, Nepal, Austria, France, Kuwait, New Zealand, Vietnam, Australia, Canada, Kazakhstan, Sri Lanka, South Korea, Belgium, Bahrain, Qatar, Jordan, Portugal, Iraq, Singapore, Trinidad & Tobago,Tunisia, Saudi Arabia, Bangladesh, Denmark, Poland, Chile, Lithuania, Bhutan, Costa Rica, Ghana, Spain, Poland, Thailand, Kenya, United Kingdom, Mexico, Hungary, Argentina, Slovakia, Bolivia, Egypt, Puerto Rico, Afghanistan, Italy, Ecuador. We are Suppliers of Hastelloy C22 Fasteners in India Such as Mumbai, Faridabad, Caracas, Kuwait City, Edmonton, Busan, Mumbai, Dallas, Mexico City, Vung Tau, Baroda, Ahvaz, Moscow, Los Angeles, Manama, Singapore, Kolkata, Jaipur, Port-of-Spain, Bogota, Madrid, Ranchi, Gimhae-si, Ernakulam, La Victoria, London, Bengaluru, Secunderabad, Lahore, Riyadh, Muscat, Haryana, Howrah, Brisbane, Vadodara, Hanoi, Visakhapatnam, Nagpur, Chandigarh, Houston, Toronto, Lagos, Rio de Janeiro, Doha, Ulsan, Ankara, Pimpri-Chinchwad, Santiago, Sharjah, Indore, Jakarta, Jamshedpur, Pune, Milan, Perth, Ho Chi Minh City, Thane, Aberdeen, Surat, New York, Hyderabad, Abu Dhabi, Al Jubail, Kanpur, Al Khobar, Melbourne, Dammam, Jeddah, Noida, Calgary, Karachi, Thiruvananthapuram, Algiers, Dubai, Istanbul, Colombo, Courbevoie, Tehran, Rajkot, Ludhiana, Granada, Coimbatore, Seoul, Ahmedabad, Montreal, Atyrau, Bangkok, Geoje-si, Hong Kong, Cairo, Petaling Jaya, Kuala Lumpur, Bhopal, Chiyoda, Gurgaon, Sydney, New Delhi, Navi Mumbai, Nashik, Chennai.